Before I began working for a pet health insurance company, just over a year ago, my sister became one of the many unfortunate victims of the economy. Her husband lost his job and her child ended up with some very expensive medical issues; subsequently, they lost their home. Although they were fortunate to find a family member to move in with, my sister was unable to take her two Shih Tzus to their new living situation. Heartbroken, she posted them on Craigslist, hoping to find a new loving home. Shortly after, a “very nice” family came to visit the dogs and it seemed like a perfect fit. Feeling reassured by this familiy’s expressed commitment to the two dogs, my sister gave them away at no cost to the new owners. 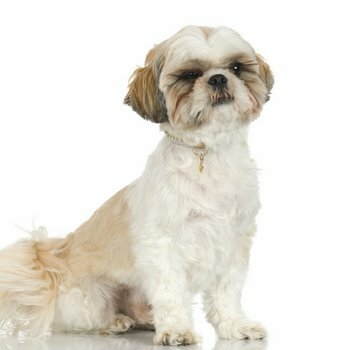 Two weeks later as I was perusing Craigslist, I found a listing for two Shih Tzus with an asking price of $500. Upon further investigation, I realized the dogs were actually my sister’s and the “nice family” was actually making a profit by selling dogs they got for free. When I told her, my sister contacted the family and requested her dogs back so she could re-home them. They told her if she wanted them back, it would cost her $500. Because the Nampa authorities wouldn’t intervene, my sister was unable to get them back and had no way of knowing what happened to her former dogs. Additionally, through outreach on Craigslist, we found out this was a habitual scam operated by the “nice family.” Eight other people contacted my sister indicating this very same family had done this to their pets as well– they were basically flipping the animals for cash. About two months later a stranger found the male Shih Tzu, Chester, in field emaciated and with multiple leg fractures. Thankfully they called the Humane Society. Because Chester had a microchip, my sister was contacted and ended up paying for the fracture repair and was able to re-homed him to an awesome family. But unfortunately, Bailey – the female was nowhere to be found, that is, until just recently (almost 12 months later!) Both animals were returned to my sister only because they had microchips. Bailey is doing great, although sadly, my sister is still not in a position where she can keep her. But we’re just happy she’s safe and with a new family who loves her. I cannot reiterate the importance of having identification on your pets– whether it’s in the form of an ID tag or a microchip. For more information of pet health and safety, or to learn more about pet insurance, visit Pets Best Insurance. *Pets Best Insurance does not cover the cost of microchips.